Este es un puente que cruza el Colorado River, en Glen Canyon Dam, cerca del Lake Powell en Utah. El puente parece salir de la piedra directamente debido al contraste con la piedra. 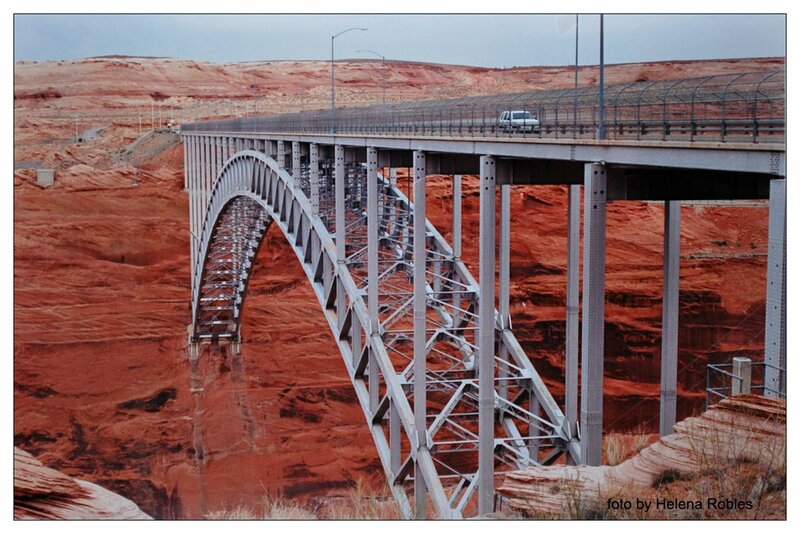 This is the Bridge across the Colorado River, at Glen Canyon Dam, close to Lake Powell in Utah. The bridge seems to come out from the rocks directly because of the contrast with the stone.